I’ve been searching the forum for information regarding the 221 Stroker article in the Tech Archive. I haven’t read everything, I’m sure, but what I’m wondering is if there is anyone here on the forum that has actually built one. There are a number of threads that discuss what parts and offsets would be required but no actual build threads. If I’ve missed something, please forgive me and direct me to the appropriate threads. Possible use of Honda rods which have a rod bearing diameter close to 1.88, whether the rod journal on the crank could take that much under sizing. The major problem is rod clearance & the camshaft. 1. Stock Ford Pinto 2.0L rod (4.977"), Chevy 334 V8 piston (3.736" Bore/1.1330 CH), and a 0.117" offset grind on the crank (3.36" stroke). Throw that together and you get 221cid with a 0.018" piston recess. This combo has a rod/stroke ratio of 1.477 compared to the stock 1.508. 2. Stock Ford Pinto 1.6L rod (4.928"), the same Chevy 334 V8 piston (3.736" Bore/1.1330 CH), and a 0.150" offset grind on the crank (3.426" stroke). This gives 225cid with a 0.034" piston recess. However, the rod/stroke ratio drops to 1.438! xctasy wrote on the forum that the rod/stroke ratio of the original 221cid is 1.486. The first scenario has a rod/stroke ratio of 1.477, which is pretty close. Offset grind the crank 0.112" (3.35" stroke) and the diplacement drops to 220.3cid, but the rod/stroke ratio is the same 1.486 as the 221. The SBC 334 piston comes in forged aluminum (ICON IC835-STD) with 2 valve reliefs measuring 10cc. A minor problem with using the SB Chevy V8 piston is the pin diameter is 0.927", whereas the 2.0L rod has a 24mm small end (0.944"), so that would have to be addressed. I only posted this last night, so I don’t want to assume too much too quickly. But it sounds like it’s something that has been thought about a good deal but hasn’t actually gone past the “myth”/concept development stage. Why hasn’t it made it past the concept development stage? Are the proposed performance improvements not sufficient to offset the cost of specialty machining and sourcing the parts? Does the reduced rod/stroke ratio just make it an untenable exercise? I stroked a 250, it was expensive, it was a pain to figure everything out and ended up wearing the cylinders quickly due to the short rod ration and the load I put on it. For the money you will have in the short block getting it to 221 you could buy a VI alum head even using "stock" parts, and only gain 17-21 cu. inches. Good news is the 250 crank offset ground to Honda 1.88" size no problem, so I would assume the 200 crank will be the same. 221 Stroked 200 - how 2 get there? sorry, " 'is a joke, son" ('50 Sat am TV animated) Couldn't resist. Do U have machinin capacity on site? Re: 221 Stroked 200 - how 2 get there? Guess that’s better than “easiest way for 221” is a 221 baby Windsor. Just saw your question in my response. I’m in Carlisle, Central PA. At least one old school shop in town. Meaning it at least looks like it’s been there since my dad was a kid. There’s a shop that has done rebuilds/mods for at least one member in the 40 mile range. I would get all machining outsourced and do as much of the assembly myself. The local shop will only do basic boring, decking and standard head work. Offset grinding or any specialty stuff like a 2V direct mount will have to be done at the out of town shop. I’m looking to rebuild to the Falcon6 specs a 78 Fairmont 200 either this fall/winter or the next. Just exploring possibilities now. I will, if circumstances are kind, have two 78s to play with. If money is no object I’d like to rebuild both heads. One with a 2V direct mount and one with an Offy 3-1V. The spare(read not in the car and free to be machined) 200 would be machined to the manual. Once that’s done and swapped in the car I’ll have a 200 shortblock without a home. The second shortblock could be saved for a rainy day in the event the other one fails. Or, we could play around with the 221 idea. When I was a kid I obsessed about building a 383 stroked 350. So when I read the stuff about the 221 in the tech section I was intrigued. I know it won’t be as simple as ordering a stroker kit off line for a small block 302 or 350. But if it’s not mythically impossible or financially irresponsible, I’m game. I don’t have unlimited funds, but I do have nearly unlimited free time. I was hoping someone here on the forum had gone through the process and could speak to what combination of parts and offsets they used and how they felt about the costs involved versus the performance of the finished product. Plenty of threads on rebuilding for performance on the 170, 200 and 250. Was wondering if anyone had documented a 200 to 221 build. Maybe I’ll be the guinea pig. X could line U up w/parts there in Oz. He's Dwn Under in NZ. Hey, still looking to see if there is a member here on the forum that has built a stroked 200. And just to clarify. I’m referring to the 221 discussed in the tech article archive. My understanding is that this build starts with a US 3.3l engine that is then stroked out to 221. I’m not referring to the Australian factory produced 221. "...the 221 discussed in the tech article archive." Mike W. who found this Site, Classic Inlines, the alu head in the VI catalogue'n much much more is no longer with us. He passed away a yr or 2 ago (altho @ my age a decade is like a yr so I'm probably pretty inaccurate). What U refer to is all laid out for U to go with. I have not been here long but do not recall any mock ups or test models. You also have to examine the realistic benefits of doing this and not the theoretical. The costs to do such a small gain in cubes probably won't equal a cost proportional to HP or torque that you'd actually gain. rod to boar ratio? calculated HP or tq?, comparison to similar motors? "Y bother?" (goin further). That seems like a reasonable place 2 start. Simple answer for me is: U.S. small block six 250 IS basically a stroked 200 ... .
Specs on Aussie 221 Six were on CI spec pages. "...250 IS basically a stroked 200..."
by the pros - Ford itself ! MustangSix wrote: ........ 20 years ago documentation on these engine families was practically nil. It actually came as a surprise to many that there was such a large variety of blocks, heads, cranks, rods, and other components. And to top it off, almost nobody in the US even knew about all the Oz engines. That's why the crossflow Mustang caused such a stir when we put that together and tried to see where the US and Oz engines differed. The 221 crank has a 5MA "221" part number cast on it. The 200 US cranks, 1, 2 or 3H with "200". 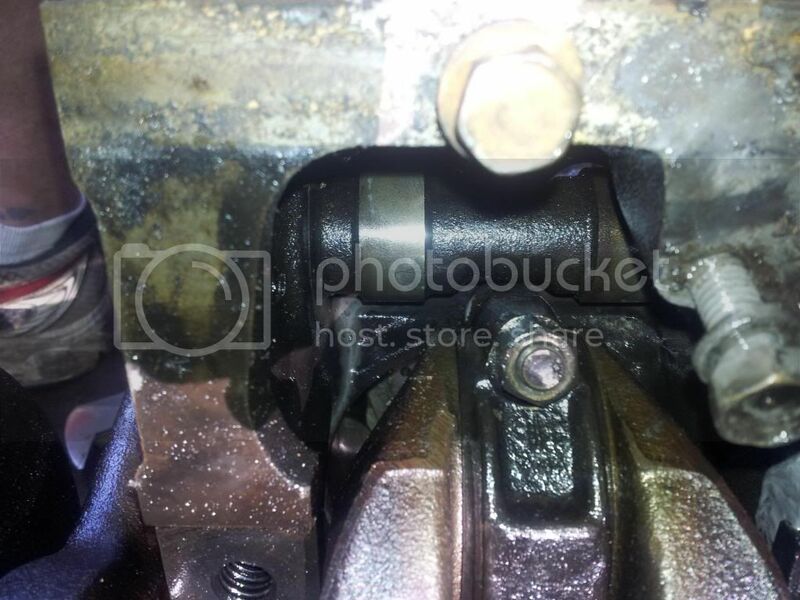 Although its easy to change an iron crank to increase stroke, its much harder to stop it hitting the pistons or camshaft and preserve a better than stock conrod legth to stroke ratio of better than 1.51:1. The 1968 Argentine and Australian 188/221 was designed with the US 250 cam spacing from the getgo. The 144/170/200 cam hugs the crank real close, way too close for easy stroking unless you compromise on costly pistons, rods, and smaller crank pins in the 1.77 to 1.899" diameter region. Stock are 2.124"
221 rods are 5.14 inches long center to center, (not 5.41 as perpetually, and wrongly stated elseware in the tech pages, and in other parts on the world wide web.The guy that started the Australian 250 2v revolution was this websites Aussie 7 Mains. He did most of the informative infomation gathering for MustangSixes and Mike W's blurbs, but not all of it was copied correctly, and hasn't been changed). The 188 has 5.37" long rods with a 2.94 stroke 170 crank in seven bearing form, and the same 8.425" deck block as the 221. Thats approx 660 thou taller than the shallow deck 144, 170 and 200, and the rare 187 Argentine engine, an overbored 170 with a Fairlane four bearing 200 crank. The 188 and 221 has additionally has a cam spaced a few extra further out at 52 links. The much stronger 1971-1992 200/250 onwards and x-flow timing gear and wider link chain can fits the 188/221, but not the 144/170/187 or 200. The camshaft position is changed for the tall deck 221, 250, and 2.3 HSC and 2.5 HSO fours, which are all based on the tall deck six cylinder engines. The 221 is 0.660" taller at 8.425 from crank center to block deck. The Aussie 200 and 250 cubic inch engines made from 1971 to 1992 are all 9.38" tall, same as the US 2.5 HSO four cylinder. The US 2.3 HSC engine is 8.660" tall from the crank center to the block deck. The 200 is a bored and stroked 144, 170, or 187 cubic inch engine with a shallow 7.803 to 7.830" deck, and a tighter crank to cam center spacing which prevents stroking the stock crank beyound about 3.35" if you offset gring the crankpins to less than 1.899", you can go a little further, but 3.35" is really it. 3.48" is just possiable with the smaller Mitsubishi sized rod journals of 1.77", and with the shallowest Iapel 1.06" deck compression height pistons with a 5" rods, that's a practically unworkable 1.437;1 rod to stroke ratio. The total amount of con-rod types for all Ford I6's of the 4.08" bore spacing familiy is six. There are of course the two 2.3/2.5 HSC I4 items for Tempo/Topaz engines. and 6.00, bringing the count to 8 rods. #9 and #10 were 1978-1980 US 250 conrods, and some 1973 to 1983 US 200 con rods, which were cast iron. The OHC and DOHC engines had 5.88 or 6.06" forged steel conrods, and they swap in some kinds of tall deck engines. All are swap prospects if you can find one of the 18 blocks Ford cast world wide for there passenger and truck lines. Happy hunting! Excellent info Xctasy! One thing of interest you might add on your engine specs lists is the number of mains on the chrankshafts. 200 stroked to 221. Myth or reality? "...only way you can avoid cam to crank clashes on a stroker is by offset grinding down the crankpin diameter...(need a)...undercut cam casting with couterweight cheeks cut out to clear the conrods. A stroked 200 needs a ..." needs a what? clearence the counter weights? Hadda do that puttin the 400 crank ina che**y 350. If you've got a spare $2 US K you have another option which will yield over 223 cubic inches. 1) First, you'll need to start with a 200ci block. 2) Next use the Aussie or Argentine 221 crank, which has a 3.46" stroke. 3) Then cut the crank pins down to 1.931". 4) After that, fit six Datsun 280 ZX rods. 5) Then use US Zolliner 3.70" pistons, from Fords latest 5 liter Quad Cam V8. 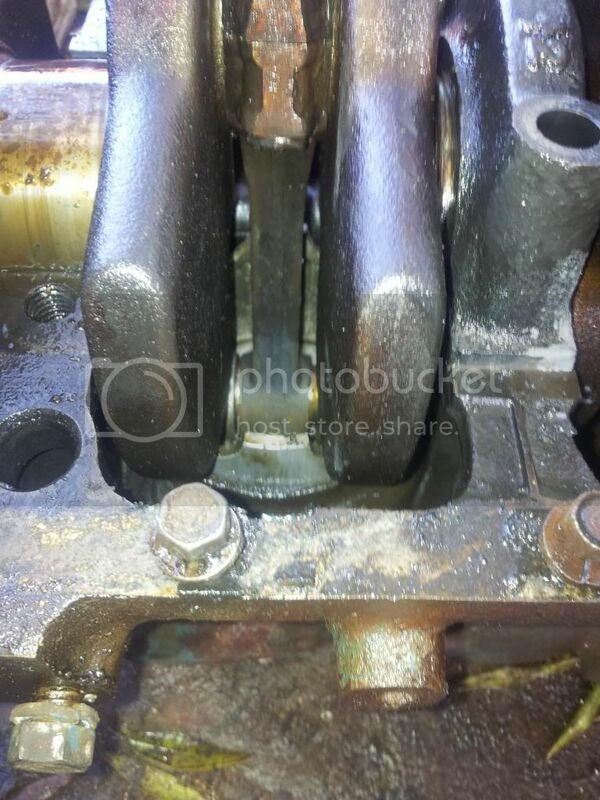 6) The pistons come up about 200 thou above the block, so you'll need to use a thick copper gasket. The rings will fall about 25 to 40 thou short of the top of the block. 7) Next, purchase an ARP stud kit to bolt the head down to the block. Finally, you'll need to dig up a set of aftermarket 2.3 HSC pushrods. All in all, its pretty easy. Piece of cake. The conrod to to cam clearance was improved on later cams after the 250 came out in 1969, so as long as you use the aftermarket camshafts or a post 1969 cam, you have 53 more cubes. Remember, the 200 is the smallest and lightest all iron I6 in the world for its capacity, and its pretty easy to get another 23 to 28 cubes using available parts if you are prepared to rebuild an engine. The Ford I6 is narrower, shorter andshallower and tougher than any other I6 engine its size.As a pleasure boat engineits hard to beat! He might wanna build a boat engine outta a US 200 (not the OZ 221). I'm still a lover of the 200. The difference between it and a tall deck , large main bearing 200 that the Australians created by destroking the 250 25/32ths of an inch was about 365 pounds verses about 481 pounds, although Ford literature quoted 410 pounds. The Australian engines didn't follow the thin wall techniques as much as the US 250. The iron head Aussie 250 was as heavy as the US 240 or 300. 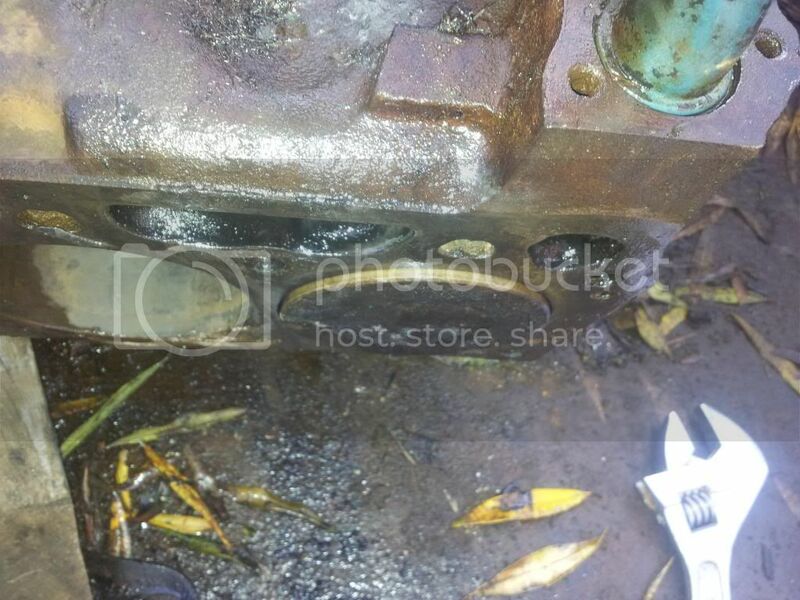 Faron found it wasn't that much, but FalconSedan Delivery cut off 240 thou of iron from the engine. A quarter inch of iron 24.5 inches long is a lot of iron to loose by milling the block 120 thou, and the head 120 thou. The 28 Ounce L28 rods are 5.13" long center to center. With the 5 liter Mod/Romeo/Windsor OHC pistons, the crank won't touch the base of the pistons if not clearanced, but the rods may touch the camshaft or walls of the block, as the 200 block is narrower than the 188/221/250 and 2.3/2.5 HS Fords. The whole thing is a delicate balancing act. The Australians did the same thing to the Holden 179, 186 and 202's, and could j-u-s-t get a 3.46 stroke Ford crank in there with 5.25" rods and Falcon 250 pistons. That was plus another 226 thou for a 3.685" stroke. But the grinding to get it enough swinging clearance was huge, right into the water jackets in some cases. So they often used 5.37 " 188 conrods and just left it with cut down 250 pistons and excatly 223 cubes. A 3.700 piston, 3.460" stroke, 5.37 rods, and 1.531" stock 40 thou over 250 pistons, a 137.5 or 75 thou overbore. You can do anything, but you've gotta want it , b-a-a-d! Hi, I'm new to the forum, my name is Facundo and I'm from Argentina. I have a Ford Falcon with a 6-cylinder 221 "maybe I can give you some information about it. One of the improvements made in 221 here is to use 188 forged cranks and pistons that they sell in special measure for that reform.